During an exam with her doctor my client was informed that childhood vaccinations were causing health issues in her body. We made a list of vaccinations she received in her early years: diptheria (dpi), polio, small pox, measles, tetanus, mumps, rubella and whooping cough. While scanning her body, I was able to see the viruses floating in her bloodstream as well as being attached to her spinal cord and pineal gland. It is a very typical pattern to have viruses attaching to the spinal cord: they usually “clip” themselves onto the nerves. Now if you think about it, your nervous system is the communication system in your body. Viruses (as any microbes) have their own consciousness, their own though forms. Attaching themselves to the nerves in the spinal cord (your biggest communicator in the body that is sending messages back and fro between the brain and the rest of your body) these viruses interrupt the flow of communication. Often people think that their stomach issues or muscular pain is caused by something else, but it might well be a virus attached to the nervous system that prevents the brain from sending the proper messages to this particular part of the body. Many of these viruses are dormant and can come from a previous infection or from a vaccine. But no matter if they are active or dormant, they interfere with the communication in your body. 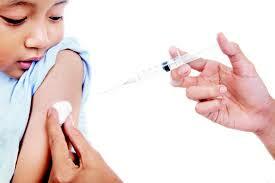 On top of it, heavy metals such as mercury or aluminum are used as carriers for the vaccines. Heavy metals store memories- kinda like the hard drive on your computer. So any kind of memories from the time of receiving the vaccines (or having a viral infection) are stored in the heavy metals in our body. If the memories or emotions of that time were of a lower vibration, it will keep that vibration in your body. What we did with the client was we cleared out any beliefs associated with the viruses from the vaccines as well as the heavy metals and then energetically cleared out the residue…..